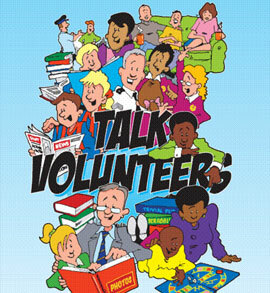 The revised, second edition of Talk Volunteers was written by the ESCAL team from Sheffield City Council, with the support of Clare Reed from Education Works. Both Elklan courses are designed for teachers and teaching assistants to work more effectively around Speech, Language and Communication (SLC) with all children, but particularly to become more aware of children with SLCN and how to support them. Children with more significant difficulties will usually have been referred to the Speech and Language Team and have individual programmes to work on. Education Works can provide the ½ day training for Volunteers, Teaching Assistants, Support Assistants and Learning Mentors to work with 1 child with this successful intervention. It also provides practitioners with skills and strategies to deliver day to day quality first teaching in speaking and listening.